Microwave drying is different from hot air drying and other drying methods. It has the advantages of fast drying speed, short drying time, high quality and utilization after drying. Therefore, it has been paid more and more attention in the agricultural product processing and food industry. At present, the application of Microwave drying machine technology in food processing is increasing. 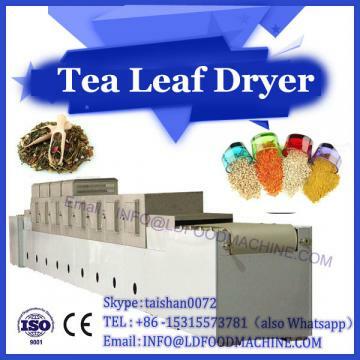 Tea leaf dryer is a new and fast tea crusher. The device adopts the principle of microwave heating. 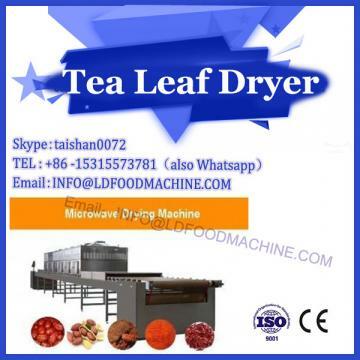 By rapid heating, the active enzymes in tea leaves are inactivated, and the enzymes such as tea polyphenols in fresh leaves are inhibited to accelerate oxidation, so that the subsequent treatment can be carried out. In this process, the original color of tea can be well maintained, the quality and price of the product can be improved, and good economic benefits can be obtained. 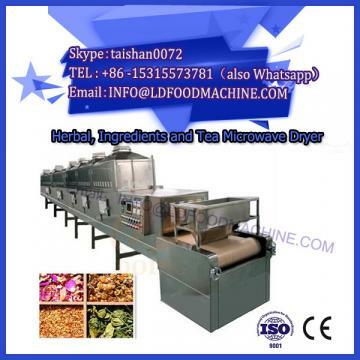 Parameters of tea microwave cutting machine can be customized according to requirements: equipment size (length x width x height): microwave power generation system 6180mm x 1310mm x 1668mm, feeding system, microwave suppressor, microwave drying box, material conveying system, dehumidification and heat removal system, control and detection system. 2, microwave output power: 10.5KW (power segment adjustable). 3, microwave magnetron: Samsung magnetron. 4, microwave system cooling mode: magnetron (air cooling), transformer (air cooling). 5, magnetron service life: more than 8000 hours.